Leaders from governments, businesses and academia from the Association of Southeast Asian Nations as well as South Korea, China and Japan gathered in Seoul Tuesday to examine ways to better secure jobs amid technological advances dubbed the fourth industrial revolution. The regional conference, the third of its kind, was organized by the World Bank and the Ministry of Employment and Labor under the theme "Enhancing Job Creation and Skills to Prepare for the 4th Industrial Revolution." Participants of the panel agreed that the revolution is radically shifting the economic landscape and changing the nature of jobs that require policymakers to face challenge in human resources development and job creation in the future. 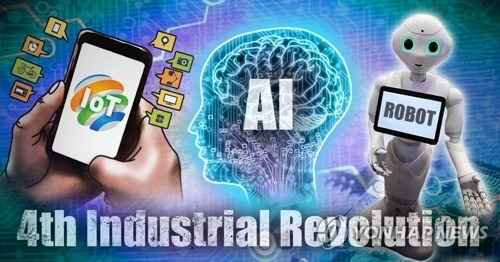 "There needs to be more discussion between the public and private sectors to prepare for change in terms of jobs that the fourth industrial revolution would newly bring and alter," said Park Woon-hwan, head of the Human Resources Development Service of Korea. Forum participants also discussed ways the private and public sectors can best work together to meet evolving challenges in terms of jobs and skills. "It is vital that the results of these discussions directly lead to policy initiatives, and eventually create quality jobs and expertise that will act as new growth engine for the economy," said Kim Dae-hwan, a ministry official. Kim further noted the importance of how the public and private sectors can best respond and coordinate to reduce the skills gap and increase accessibility to cutting-edge technologies such as the Internet of Things and artificial intelligence are forecast to generate business opportunities. Park Sunny J, the head of the legal department at Microsoft Korea, emphasized the importance of how corporations think the business environment will change in accordance with the change of the employment landscape. "In order for companies to transform, they need people with the right skill sets to lead this change. Many of the routine and predictable work may be replaced by technology, or artificial intelligence," Park said.